The taxpayer was a large Australian bank that had spent considerable sums of money on the development of a computer system. It claimed that the money spent should be deductible as R&D within the meaning of s 73B of the Income Tax Assessment Act (ITAA) 1936. The commissioner, after reviewing a determination received from the Industry R&D Board found that the amount was not deductible as the software was for internal use of the bank, and therefore excluded from the definition of R&D by s 73B(2). The taxpayer appealed to the AAT for a review of the R&D Board’s decision claiming that the purpose of sale did not need to be the sole or dominant or originating purpose. The claimed activities were the development of computer software – primarily for in-house application. These activities were carried out before 1988. The board argued in this case that under old legislation, the term ‘the purpose’ meant ‘the ruling, prevailing or most influential purpose’. Since then, the legislation has changed and now quite clearly states that computer software must be developed for the purpose or for purposes that include the purpose of sale, rent, licence, hire or lease to two or more non-associates. 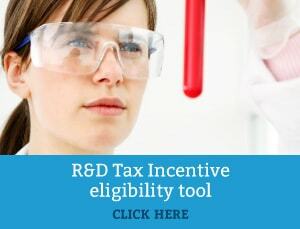 The purpose of a taxpayer is an important concept elsewhere in the R&D legislation, and in other tax statutes. The case is also relevant because it addressed issues of evidence. The formal records of the company’s Board were not conclusive in identifying the purpose of the activities. Other documents of the company were used by the IR&D Board to argue that the purpose of the work was the bank’s in-house work. The Deputy President found that a concurrent and substantial purpose involving an intention to market elsewhere was amply demonstrated by contemporaneous documents, and in the conversations of relevant officers. The system was designed at a level of generality beyond the needs of the bank’s own business; and the bank’s rights to a marketable system were protected. There was a joint marketing approach to American banks and the appointment of a marketing manager. 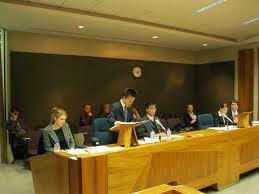 The court decided that the activities constituted R&D. In order to qualify as R&D it was not necessary that the dominant or actuating purpose of the activity was sale or profit, as there may be a number or multiplicity of purposes, and it is necessary only that the taxpayer show that one of the purposes found in s 73B(2) was a collateral or relevant purpose that was not an insubstantial purpose in conducting the activity. In seeking to discern a corporate purpose in a large organisation evidence may be adduced as to the purposes of the Board of Directors and any managers to whom the board may have delegated decision making power. In determining whether a collateral or relevant purpose existed for purposes of tax deductibility it is necessary that the taxpayer establish that such a purpose existed in the course of a year of income, rather than being required to demonstrate that the purpose existed throughout the whole of the year. Click here to view the SREE and Industry Research and Development Board Case.